Save AED 40 (81.63%) – Earn 1 Shukran What is Shukran? Shukran is the Landmark Group’s award-winning loyalty programme in the Middle East, which allows you to earn Shukrans when you shop any of our brands. 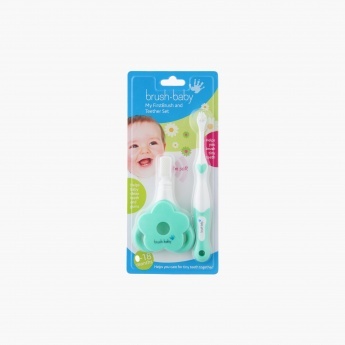 Brush your little one's tiny teeth with this safe and gentle toothbrush with super-soft bristles. 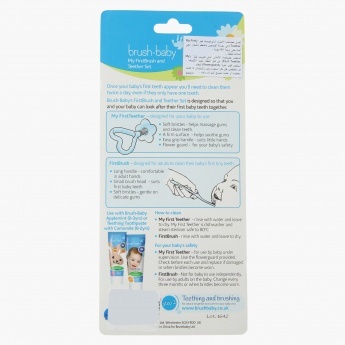 The unique set also includes a teether as it will help massage and soothe gums as teeth grow over time.